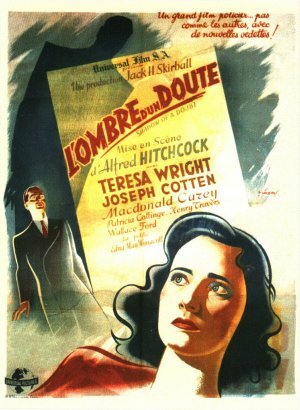 This entry was posted in 1940s, Film Noir Friday, Homicide and tagged 1943, Alfred Hitchcock, Alma Reville, Hume Cronyn, Joseph Cotten, Macdonald Carey, Sally Benson, Teresa Wright, Thornton Wilder by Deranged. Bookmark the permalink. One of my favorite movies. The recent release on Blu-ray is terrific! My old DVD copy had a dismal soundtrack and poor video.